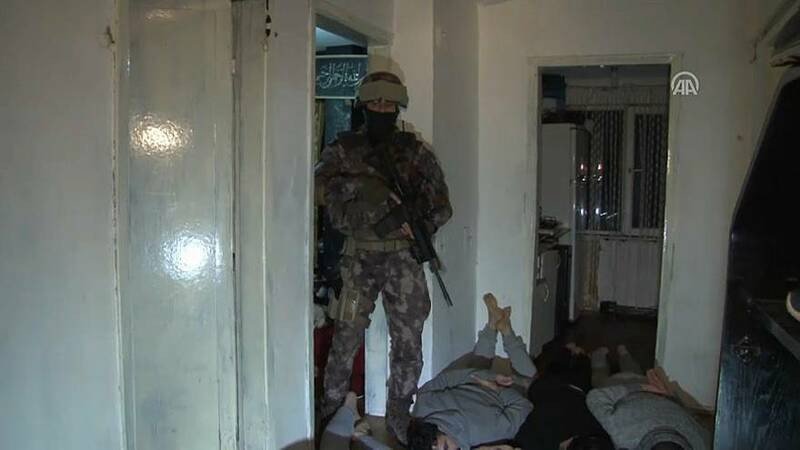 Turkish police say they have detained dozens of suspected ISIL militants following a series of dawn raids. Friday's crackdown in Istanbul and Ankara came a day after 120 people were arrested on terror charges. Some of those taken into custody are suspected of planning to carry out attacks on New Year's Eve. The arrests and mobilisation of force aim to prevent a repeat of last year's attack on an Istanbul nightclub. That saw 39 people killed after an ISIL gunman opened fire on revellers as they saw in 2017. Security across Turkey has been reinforced ahead of this year's celebrations, with just under 40,000 police officers expected to be on duty in Istanbul alone. Street celebrations across Turkey's largest city have also been cancelled this year as a result of what officials say are security concerns.